The Red Sox lineup has taken a hit from a flu virus going around the team. Before Saturdays game against Detroit, Mookie Betts, Hanley Ramirez, Mitch Moreland, Brock Holt, Robbie Ross Jr and Joe Kelly all experienced flu symptoms. Even hitting coaches Chili Davis and Victor Rodriguez were diagnosed in spring training. During Saturday's game, things didn't get much better for the Red Sox. NESN play-by-play announcer Dave O'Brien was forced from the booth midway through the game. Tom Caron was forced to take over play-by-play duties. In addition to O'Brien, outfielder Andrew Benintendi was reportedly throwing up in the sixth inning Saturday. He remained in the game. 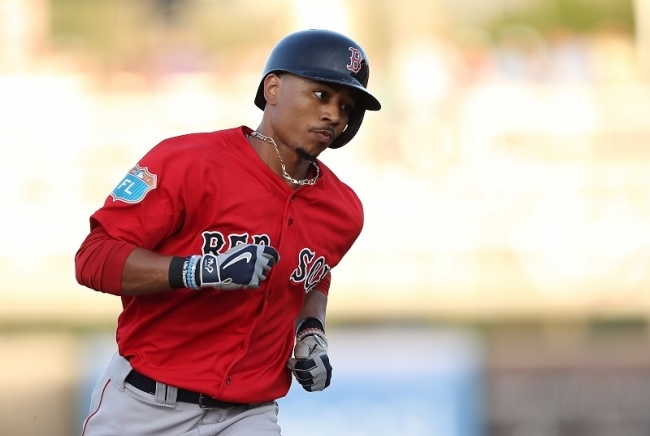 For good flu news, Mookie Betts rejoined the team yesterday and was spotted in the dugout. He is in the lineup Sunday and will be back in right field. As for Hanley Ramirez, he was able to start moving around yesterday according to John Farrell. The team hopes he's well enough to go to Fenway tomorrow. It also appears the Red Sox flu could be spreading to other Boston teams. Bruins goalie Anton Khudobin left yesterdays game as he was not feeling well. James Young and Amir Johnson of the Boston Celtics both missed yesterdays game against Charlotte with illness'.